In recent years the political and economic stability in Venezuela has deteriorated, creating an ever-growing humanitarian and social crisis. The astronomical devaluation of local currency and an absence of the basic daily requirements of food and medications is significantly impacting churches and believers. 1. Ministering to the many Venezuelans who have been displaced across the border into Colombia. 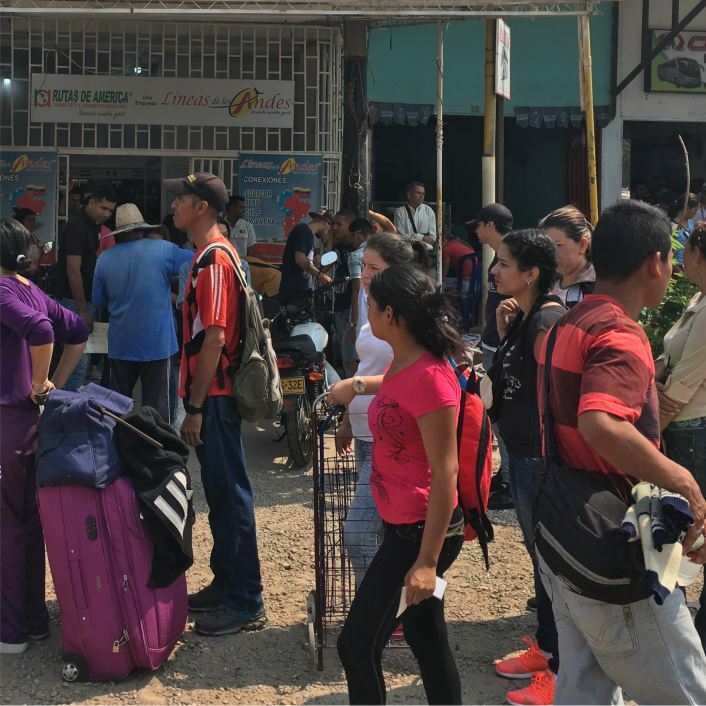 They are assisting the evangelical community and church leadership in Cucuta (a primary border city in northern Colombia) with the overwhelming influx of those seeking survival from an impossible life in their home country. With thousands of displaced Venezuelans escaping the crisis in their homeland and arriving in Medellin, the El Redil churches are reaching out to a people group on their doorstep who are hurting emotionally and are open to the Gospel. This provides an open door for the presentation of the Gospel as well as helping them settle into a new life with restored stability. 2. Providing medications and other critical resources to Venzuelan pastors who are coming to Colombia seeking help for members in their congregations back in Venezuela. These resources are being taken back to those most at risk. 3. Completing short-term “mission trips” into Venezuela to encourage and help local churches in crisis. All funds received for this project will be managed by, and added to, those of our El Redil church association in Medellin. Our desire is to broaden the scope and capacity to alleviate the suffering of these people. Through FAIR we can partner with our Colombian brothers and sisters in Christ as together we seek to minister to the Venezuelan people. Will you prayerfully consider your participation in this appeal? Pray for wisdom and stamina for congregation members from the El Redil churches who are ministering to Venezuelan refugees and pastors. Pray that they would be a loving reminder of the Lord’s steadfastness through times of struggle.